One issue that students often face is that they are not able to take proper lecture notes during lectures without sacrificing retention of the learning material. 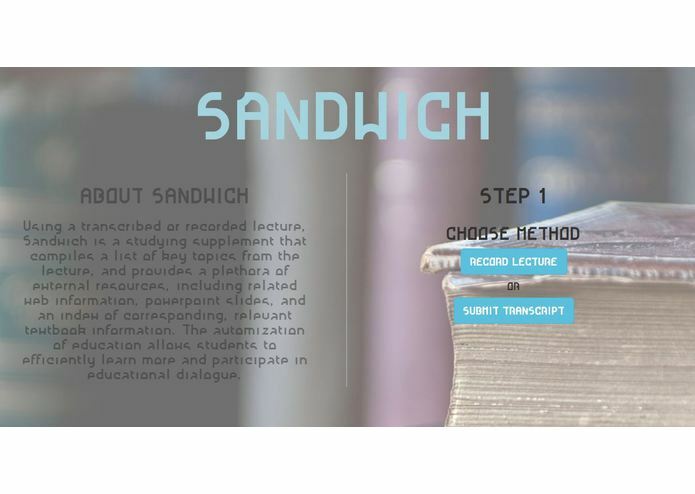 Our app aims to use Speech Recognition to transcribe lectures and then apply Topic Modeling to identify the key topics of the lecture. Then, using our topics, we use tailor google searches to find useful academic resources and use Summarization to provide quick summaries of the links for easy reading. Finally, if provided with a textbook and or pertinent PPT files, the app will return the related pages in the pdf and ppt's for the user to check out.